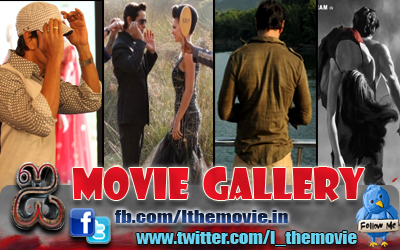 Chiyaan Vikram has been conferred with the Honorary Doctorate of Fine Arts in Acting. 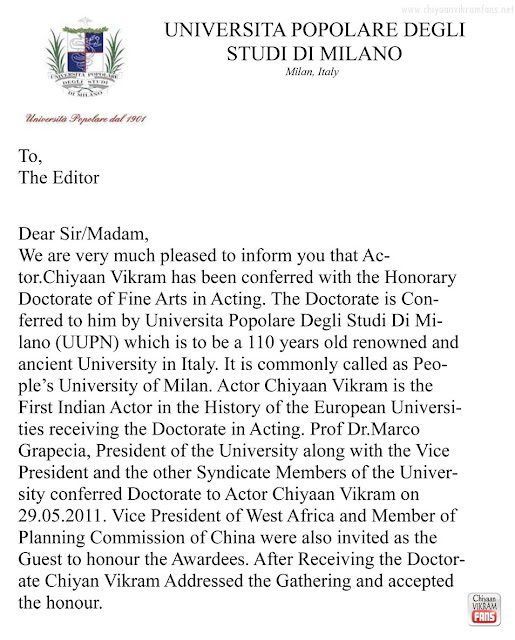 The Doctorate is Conferred to him by Universita Popolare Degli Studi Di Milano (UUPN) which is to be a 110 years old renowned and ancient University in Italy. It is commonly called as People’s University of Milan. 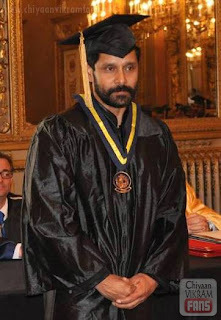 Actor Chiyaan Vikram is the First Indian Actor in the History of the European Universities receiving the Doctorate in Acting. 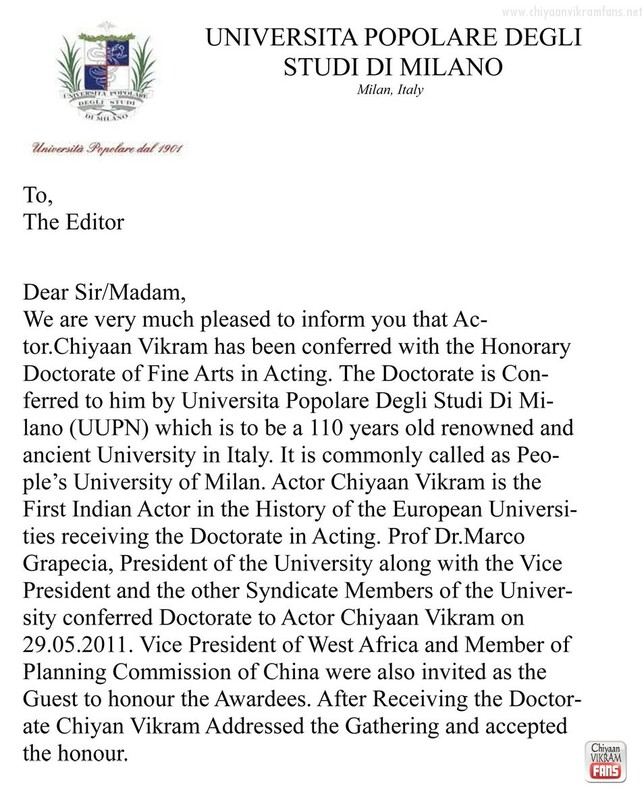 Prof Dr.Marco Grapecia, President of the University along with the Vice President and the other Syndicate Members of the University conferred Doctorate to Actor Chiyaan Vikram on 29.05.2011. Vice President of West Africa and Member of Planning Commission of China were also invited as the Guest to honour the Awardees. After Receiving the Doctorate Chiyan Vikram Addressed the Gathering and accepted the honour.